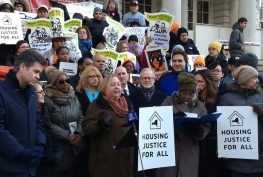 Albany, NY – Civic groups today called on Governor Cuomo to expand his Democracy Agenda to include a measure to reduce the risk of corruption. The groups said that while the Governor deserves credit for his agenda of voting and campaign finance reform, the absence of significant ethics enforcement reform leaves his package incomplete. Corruption destroys democracy by undermining the confidence of the people that their elected representatives will put the people’s interests ahead of their private financial interests. Strong ethics enforcement holds officials to their oath “faithfully to discharge” the duties of their office. (Constitution Article XIII, section 1). It is the first line of defense against corruption. The former Assembly Speaker, the former Senate Majority Leader and the former Executive Deputy Secretary to the Governor have all been recently convicted for selling their official authority for personal gain. In another trial, a top official of the State University has been convicted of bid rigging in favor of two large campaign contributors to the Governor. All of these cases were brought by federal prosecutors. The groups charge that had state ethics enforcers been viewed as independent and fearless, perhaps these scandals would not have occurred. To be clear, there is no charge that the Governor knew of or authorized any of these activities. But equally he has not used them as a good reason to strengthen ethics enforcement. Civic groups want action to respond to these unprecedented state government scandals. 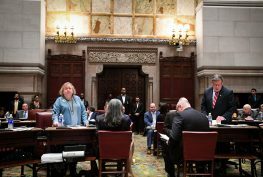 Nine leading reform and education groups have called for first passage of a constitutional amendment that would put some teeth into New York State’s ethics enforcement structure, which is widely dismissed as lacking the independence, will and structure effectively to combat corruption. 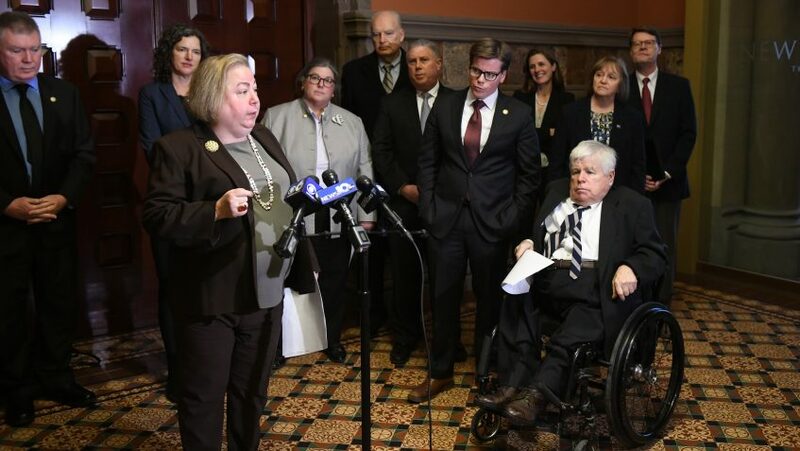 The Anti-Corruption Constitutional Amendment advocated by these groups, first introduced in the 2017-18 legislative session, is now being reintroduced in both Houses of the Legislature. Senator Liz Krueger is the prime sponsor in the Senate and Assemblymember Robert Carroll is the prime sponsor in the Assembly. Because it is a constitutional amendment (needed to create an ethics enforcement exception to legislative immunity), it needs to be passed in two legislative sessions before in can be voted on by the People. Nonetheless, public hearings on the proposal should promptly be scheduled by both Houses of the Legislature quite possibly to be held jointly. 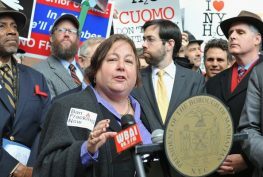 Amending the Constitution is serious business, and New Yorkers deserve to have it done correctly. The Anti-Corruption Amendment would create the Commission on State Government Integrity (the “Integrity Commission”) to replace the Joint Commission On Public Ethics and the Legislative Ethics Commission. These two bodies lack the independence needed to be effective enforcers of ethics laws. In many states all three branches, legislative, executive and judicial, make ethics commission appointments. This is the case in New York only for the Commission on Judicial Conduct, which is a well-regarded enforcer of judicial ethics created in the State Constitution. A majority of the members of the Integrity Commission would be appointed by the judiciary and only a minority by the bodies being regulated. New York Public Interest Research Group: Blair Horner, 518 727 4506. New York is the only state where the ethics commission does not operate by majority vote. Incredibly two (2) of the Governor’s appointees to 14-member JCOPE can veto and investigation or a finding of violation, as can three (3) of the appointees of the legislative leaders. The Integrity Commission would operate by majority vote. New York is also marked by its division of ethics enforcement responsibility. JCOPE can find a violation by executive branch officials or employees and impose a fine but only the LEC can find a violation by or fine an legislative branch official or employee. The LEC may reject JCOPE’s interpretation of the law. In all cases, discipline (admonishment, censure, demotion, suspension or removal) is left to the discretion of entity in which the official or employee works. The Integrity Commission would have full discipline authority over both braches except that as currently only the Legislature could remove an elected official. A constitutional amendment is needed to create a single enforcement body with full sanctioning power. Nearly half the states give the responsibility for enforcing the campaign finance laws to their ethics commission. 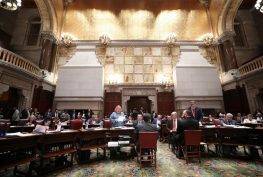 New York needs to do the same because the State Board of Elections is controlled by the political parties and therefore is not sufficiently independent to enforce campaign finance laws designed to limit the pay-to-play culture. Ethics and other rules barring official misconduct are only as good as the mechanism available to enforce them. Without an adequate enforcement mechanism these rules exist only on paper without real world force or effect. “Paper” rules do nothing to combat what far too many see as a culture of corruption and pay-to-play in Albany. Unlike JCOPE, where the person appointing a member can remove that member for what the appointing authority deems to be substantial neglect of duty, members of the Commission could be removed for cause only through a process by which a majority of the Commission votes to make an application for removal to the Court of Appeals. Ex parte communications between Commission members and their appointing authorities and related staff would be barred, and no member could have held office, employment in state government or any political party or been engaged as a lobbyist in the three years prior to his or her appointment or during his or her term. Transparency laws would apply equally to the executive and legislative branches. All state officers and employees would have an ethical duty to report known misconduct to the Commission and would be protected against retaliation. Sexual harassment would be barred as ethical misconduct. The Integrity Commission would have full authority to sanction officers or employee of public authorities. The text of the Anti-Corruption Amendment is available at www.committee2reform.org/anti_corruption_amendment.